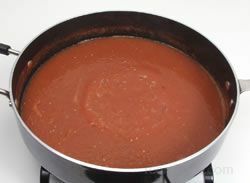 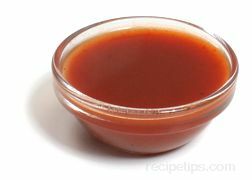 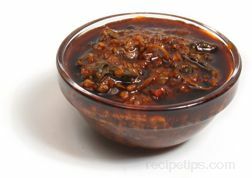 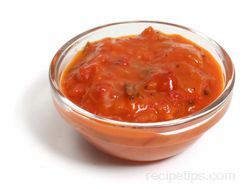 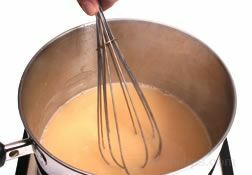 A cold sauce used as a condiment most often with fish but also on other foods such as vegetables. 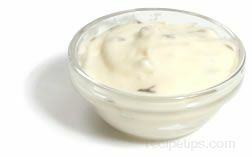 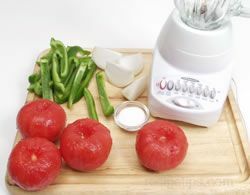 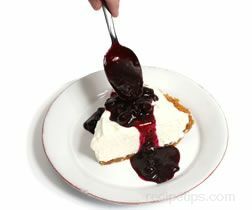 It is made with a mayonnaise base combined with ingredients such as chopped pickles, chopped onions, capers, olives, lemon juice or vinegar, and at times is lightly flavored with mustard. 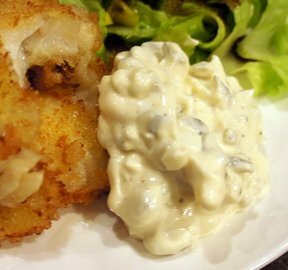 This sauce may also be referred to as tartare sauce.